I'm quite fussy about the colours I like on my toes, I like brights and mostly pinks or coral, having said that, I very rarely deviate from my favourite ever toe nail colour which is Rimmel 270 Shocker, I have been painting my nails with this vibrant blue toned shimmery pink for about 6 years, and I never ever intend on giving it up. I have repurchased this colour numerous times, but occassionally I've found that it just hasn't been stocked - not that it has sold out, but there just wasn't a space for it. This gave me palpitations, because a life without Shocker would be a sad life indeed. I hope the day will never come that Rimmel takes my beloved colour off the shelves, but if it does happen I feel I need to be prepared so my search for a dupe began. So when I was going a little bit wild for Essie colours I spotted this, Super Bossa Nova, and I couldn't believe my luck - it looks exactly like Shocker! Without so much as a backwards glance I made my purchase and couldn't wait to try it out. This nail varnish applies delightfully, and two coats gives a lovely finish, although compared to Shocker, I would say Super Bossa Nova isn't as vibrant, it looks slightly more muted. The shine that you get from Shocker is amazing, it has got a real dazzling blue-toned silver, and after just one coat you are good to go. Shocker appears thicker, in so much as it's finish seems to have more depth and opacity after one coat, and to be honest after two it is like a professional manicure in comparison to Super Bossa Nova. I've been wearing Super Bossa Nova on my toes for two days, and already I'm experiencing some chipping. Now this is seriously not cool. I'm used to Shocker surviving on my toes for weeks on end without ever chipping or losing its shine. I don't know about you, but I can't stand a nail varnish that can't go the distance on your toes, and for that I feel that Essie has seriously let me down. This polish retails for about three times the price of its Rimmel equivalent and as far as I can see it isn't half as good. Don't get me wrong, I'll use this polish but it really isn't going to match up to my truly beloved Shocker, and for this reason I hope and pray that they never discontinue it! I'm sorry if my foot grosses you out but hey, they serve me well so they deserve a bit of credit! 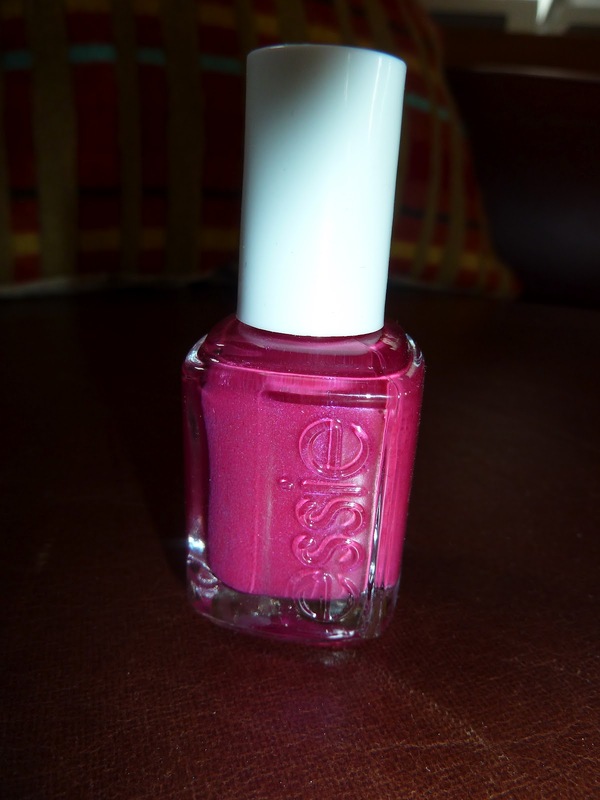 I purchased my Essie polishes at a beauty trade shop, however they are available at boots, but I'm not entirely sure Super Bossa Nova is, and Superdrug. 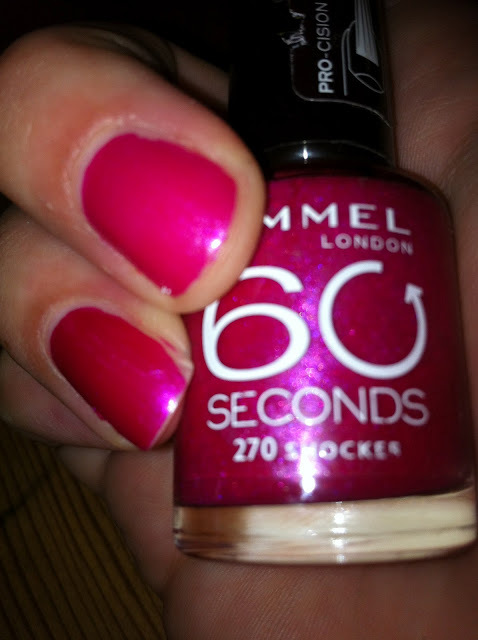 Rimmel is available anywhere, from Boots where they are currently offering a saving of 70p on their 60 Second nail polishes, and Superdrug who are offering a saving of 50p, Tesco and Morrisons also stock Rimmel polishes so it might be worth checking out the toiletries aisle on your way round! What do you think? Which one of these floats your boat? 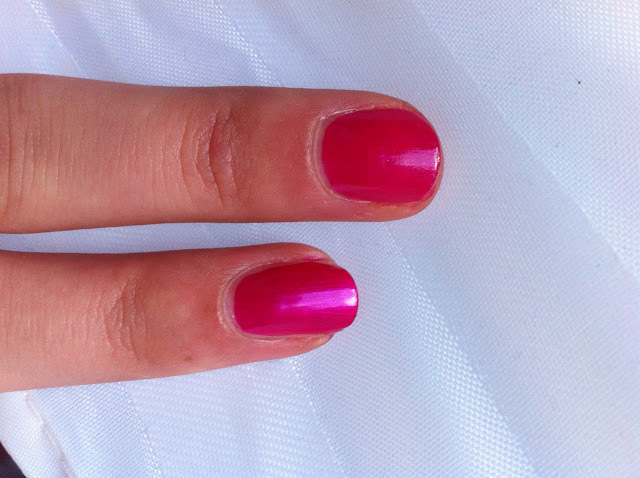 Do you have an absolute favourite nail colour? And do you have preferences for what you wear on your toes only, or is it a case of anything goes?